We’ve been asked to announce the death of Theresa Burnell. She passed away on Wednesday 27th February 2019 Peacefully At Hospice Isle of Man after a short illness. “She was one in a million”. 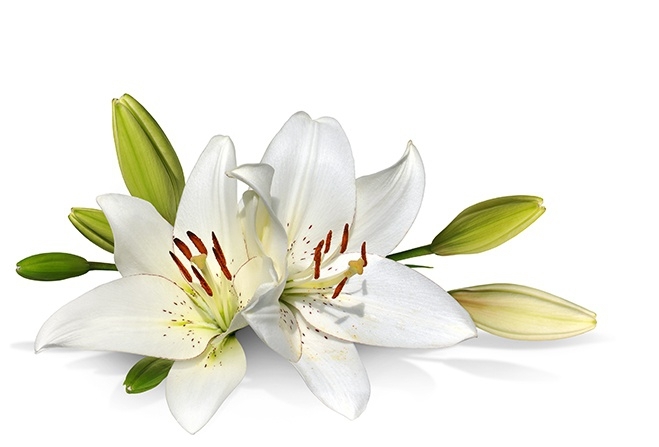 Funeral Service will be held at Trinity Methodist Church (traditional clothing is requested, but you are asked to accompany it with a bit of “bling”) On Friday 8th March, 2019 at 12.30 pm Followed by Cremation at Douglas Crematorium’ Flowers may be sent. We’ve been asked to announce the death of Brian Douglas Mason aged 72 years Formerly of Bathurst Street in Douglas and Union Mills. He passed away on Tuesday 26th February 2019 At Castle View Nursing Home in Peel. He leaves Wife Kath and son Paul. The funeral service will take place at 2pm on Thursday 7th March at Douglas Borough Crematorium. We’ve been asked to announce the death of Jack Firth of Reayrt-Y-Chrink, Port Erin. He passed away on Monday 18th February 2019 At Springfield Grange Nursing Home, Douglas. Beloved Husband of Doreen, dearly loved father of Janet and a much loved father-in-law and grandpa. Funeral Service and Cremation will be held at Douglas Crematorium at 10.45am On Wednesday 27th February 2019. Beloved Husband of Judy, dearly loved father of Sally and Barry and a much loved father-in-law, gramps and great gramps. We’ve been asked to announce the death of Mavis Bowers Aged 92 Years, formerly of Port Erin. Family flowers only please Memorial donations in lieu of flowers may be sent to Port Erin R.N.L.I. The Lifeboat House, Breakwater Road, Port Erin IM9 6JA. We’ve been asked to announce the death of Brian Stanley ( Billy ) Condon Aged 70 Years, formerly of Brewery Wharf and Red Gap, Castletown. He passed away on Monday 11th February 2019 At His home surrounded by his loving family. He leaves Wife Heather sons John, Paul and family. Funeral Service will be held at Arbory Parish Church on Friday 15th February at 12.30pm, followed by private cremation. Nominated Charity Diana Princess of Wales Care at Home Trust Isle of Man or Southern 100 Motorcycle Club. We have been asked to announce the death of Andrew Courtney, formerly of Laxey and Glencrutchery Road, Douglas. He passed away peacefully on Thursday 7th February 2019 at Noble’s Hospital. Beloved husband of the late Gail, much loved father of Kirsten, father-in-law of James and a dearly loved grandad of Tilly, Jasper and Annie. The Funeral Service and Cremation will be held at Douglas Borough Crematorium on Friday 22nd February, 2019 at 2.00 p.m.
We’ve been asked to announce the death of John Turner aged 81 years. He passed away on Tuesday 5th February 2019 at Castle View Nursing Home. He leaves wife Mary, son Graham, daughter Sue, grandchildren Daniel and Becky and sister Jo. A celebration of John’s life will be held at Onchan Baptist Church on Wednesday 13th February 2019 at 11.00am followed by cremation at Douglas Crematorium. We have been asked to announce the death of Robert Sydney (Bob) Gelling aged 86 years of Springfield Court in Onchan. He passed away on Saturday 2nd February at Nobles Hospital. He leaves son Paul, daughter Christine and families.